The opening band, Astronoid, was not very good. TesseracT was great! Between the Buried and Me was amazing! However, the venue was not the best. It was small and crowded, standing only, and a moshpit in the center kept getting too wild for my taste. Someone's face was bleeding when I looked over at one point, but this was my first metal concert, so maybe that's normal. To sum it up, the music was great, but not the venue. 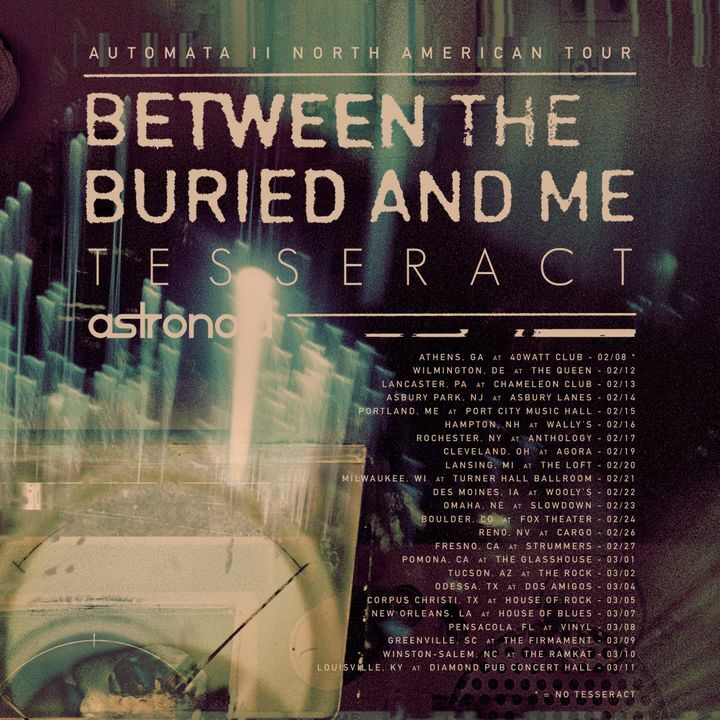 BTBAM is definitely a must see live! Awesome show, Toothgrinder was great, Polyphia was out of this world and BtBAM was amazing. The Contortionist was unfortunately the weak point of the night, they just didn't seem to mentally show up. Wasn't a huge deal, just not up to the same standards set by the other 3 bands. As always BTBAM killed it. Even though I'm still not completely on board with the new album, watching them perform is art in motion. First time hearing Fallujah, and liked what I heard. They put on a pretty good show to boot. Wasn't able to stick around for Devin unfortunately. It was beyond amazing!!! All the bands were spectacular, and finally getting to see my favorite group play was a dream come true!!! Also, sorry to the guy whose lenses I popped out of your glasses while I was crowd surfing, I feel bad about that. But an amazing show, loved seeing the one and only BTBAM!!! Can't wait for them to come around again!